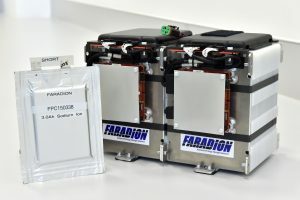 The sodium-ion batteries which power the world’s first sodium-ion vehicle, developed by Faradion in conjunction with Williams Advanced Engineering and the University of Oxford, part funded by Innovate UK. 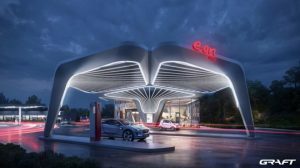 A UK based project to develop sodium-ion batteries for the next generation of electric vehicles has received a £38.2million grant. 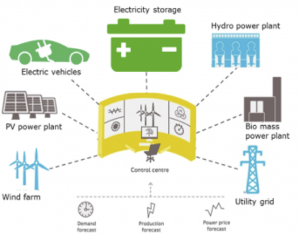 The scheme to develop the technology to meet vehicle manufacturer specifications is part of Innovate UK’s initiative to make the UK a global leader in emissions-cutting technology. 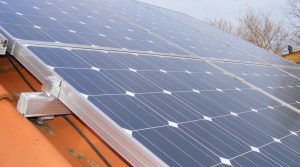 English firm Faradion and Scottish based AGM Batteries were awarded the funding to deliver a working prototype of its technology for electric vehicles (EVs) by 2018.